The Fall weather has been AMAZING! Great poofy clouds and good temperatures beckoned me outdoors this week. 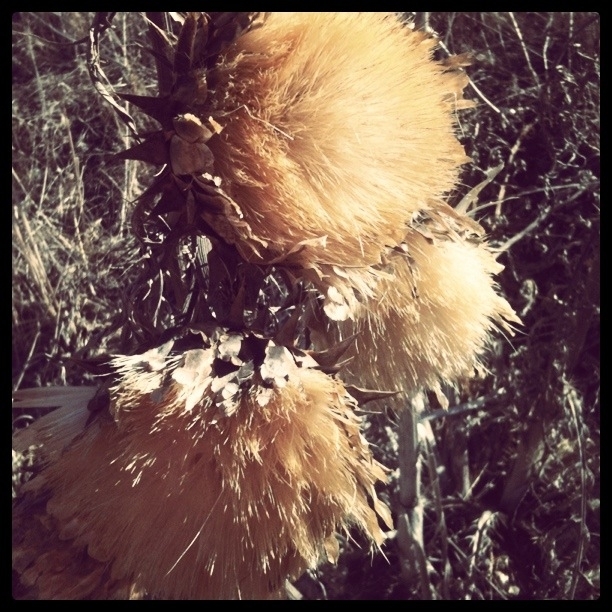 I decided to explore the hills of San Clemente and I found these awesome dried-up POOFY FLOWERS! So neat looking! For this recipe I thought I’d divert away from pumpkin to pay attention to another great Fall-ish flavor… APPLE! This a super tasty grain-free crisp recipe. It’s also super easy and great for entertaining. 2 Tbsp. cinnamon, plus 1 tsp. In a large bowl, combine apples with raisins, 1 tsp. cinnamon and sprinkle of salt. Spread evenly into a 9 x 13 dish. In the same bowl, mix together almond flour, sugar, spices, salt, and flax. In a food processor, pulse cold butter (or oil) with pecans until large gravel texture. Add pecan/butter crumble to the flour mix and combine. Spread over apples and sprinkle with some chopped pecans. 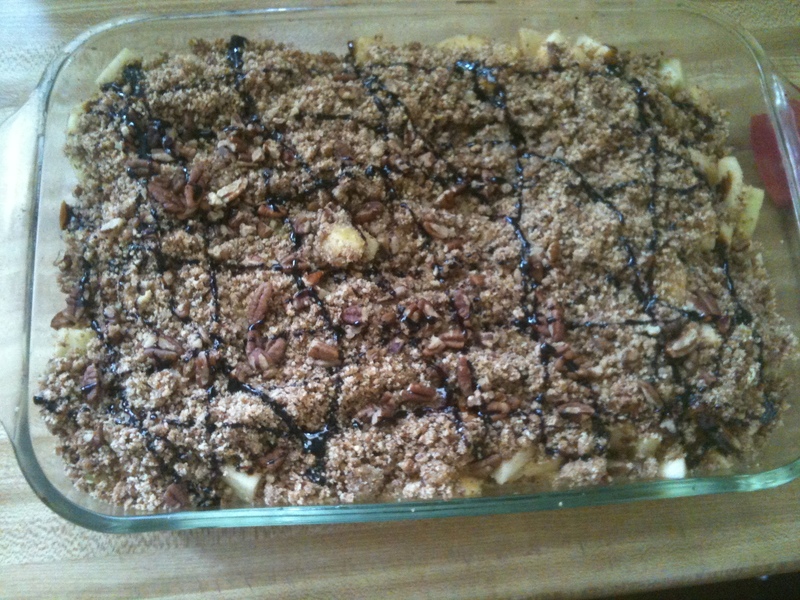 Drizzle molasses over the crisp and then bake for 20 mins until apples are soft. Mmmmmm… This sounds so good. Now I just need a food processor.